Link to one of the apps from the Microsoft Store clear up the confusion? I use wine for windows stuff... but if you can show your console, I guess that counts! Sounds like you are using a server version without x-server and no capture utils. No wait... it's an app? No, install the full linux os first if you want a desktop, server version if you want console only. Huh? 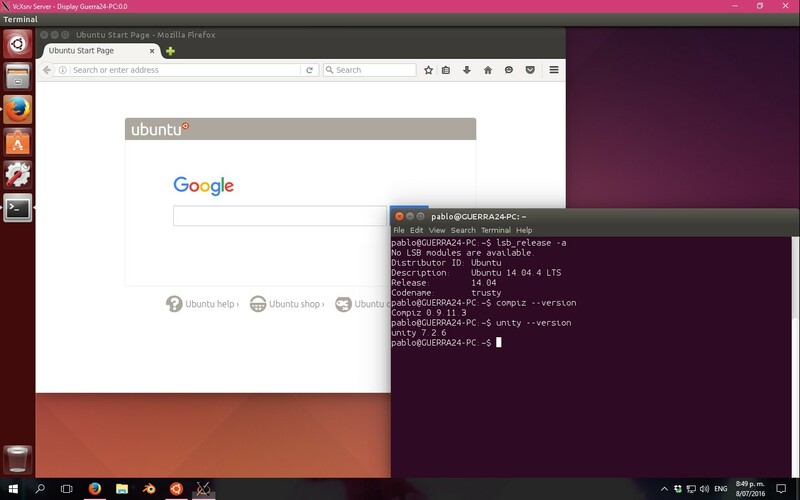 It's a new feature of Windows.. the subsystem for linux, that allows you to run Linux in it's own app/space in a fairly transparent way. Mostly useful for developers. You could run Xserver if you want. Technically, that isn't linux. You are running an assortment of *nix software on an MS kernel. Not a drop of linux in it without the kernel. Yeah, I wasn't exactly sure. Hopefully they'll keep it on par with the Linux kernel. So far, they do (that Ubuntu above is based on 18.04). Just picked up a 120GB SSD from MicroCenter to throw a copy of Mint 19 on, man I'm loving how much it has evolved over the past 5 years. I've loaded up Steam, Wine/PoL, & Lutris, so I'm trying to get Ring of Elysium to play via Linux. If I can get it to work along with some other titles I'll be moving to this distro full time. Also need to see if I can get my Adobe suite to work as well. I was very surprised when I saw OpenSUSE dropping off the charts on DistroWatch a few months back. It's a very well thought out distro. A "little" technical on the install...but very thorough. I absolutely love it. Also. I think it goes without saying, but... it is extremely stable. At least that's been my experience. I'm only using Ubuntu now because 18.10 is playing nice with my chip. Almost all distros(besides those based on Arch) were not. When I feel everything is stable, I'll probably be going back to OpenSUSE with KDE. While I like Gnome "enough"...I don't like it that much. I actually prefer MATE over Gnome...or even Unity over Gnome...or to be honest, even XFCE over Gnome. For anyone looking for a nice "easy on the resources" distro(XFCE)...I've had pretty good luck with MX Linux. It's definitely worth a look. I'm thinking that I might update my Crunchers and get a newer version of Mint installed and see if they behave... I like the new look, is it a particular theme that you're using there @remixedcat ? Mint y dark pink.. And the fonts were added by type catcher. What are you using to show the system specs on the desktop? Oh and for those who want to test 19.04 beta, at least the kubuntu version I know, open-vm-tools is auto installed for vmware users. It's very handy.